If you are in charge of a fleet of vehicles, you know just how important it is to keep them roadworthy and safe and to carry out regular maintenance and vehicle checks. 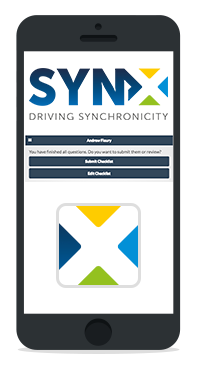 Controlling fleet costs and guaranteeing the business is running in the respect of legal requirements and under the safest conditions is one of the daily challenges you can easily overcome with SynX! With our complete maintenance section you can record servicing milestones, set up reminders and keep track on your maintenance costs. But today you can also start running paperless walkaround checks, in a user-friendly way, saving time and money. With our Walkaround Checks App you can let drivers do their walkaround checks using their mobile phone, making the process efficient and eliminating mistakes. If you have spent a lot of time struggling with paperwork or tedious logbooks, now there is a solution to that! Checks are done by means of the app and recorded in the dashboard, available 24x7 from any browser. 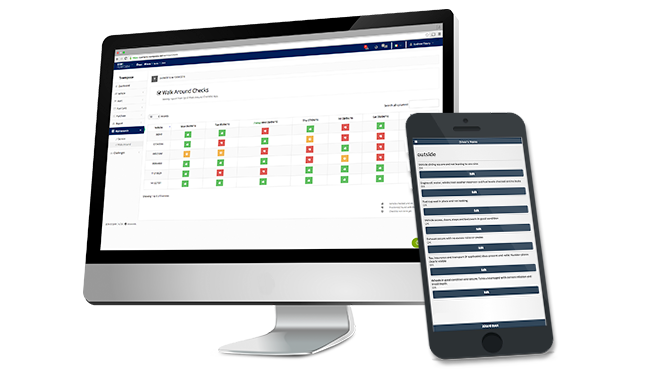 Companies are required to have a system in place for recording and reporting vehicle checks and demonstrate they are doing anything possible for guarenteeing safety at work: our walkaround software is the answer. Use our default checklists (HSA/RSA standard walkaround checklists) or let us know if you prefer to have customised ones: we can implement company-specific checks and provide you with a personalised tool. Having proper walkaround checks done is the perfect base for setting up an efficient maintenance system in your fleet. Fleet safety and regular maintenance go hand in hand: a well-maintained vehicle is also a safe one! If you are completing the walkaround checks process with spreadsheets and paper checklists you are well aware of the time you can save with an automated process. Check out our software and save time - and money! The checks are done by means of the app and are instantly recorded in the walkaround checks dashboard, replacing a paper logbook. You will have all the vehicle checks at your fingertips - a more complete picture of your fleet. All the vehicle checks carried out through the app are safely recorded in our walkaround checks dashboard. The system is accessible from any browser. Roadworthiness: is your fleet compliant? Can you really afford not to do walkaround checks?